For local author Elsa Hart, a comparison of her intricate plots to those of longtime mystery writer John le Carré came as a welcome compliment during a conversation Monday with St. Louis on the Air host Don Marsh. 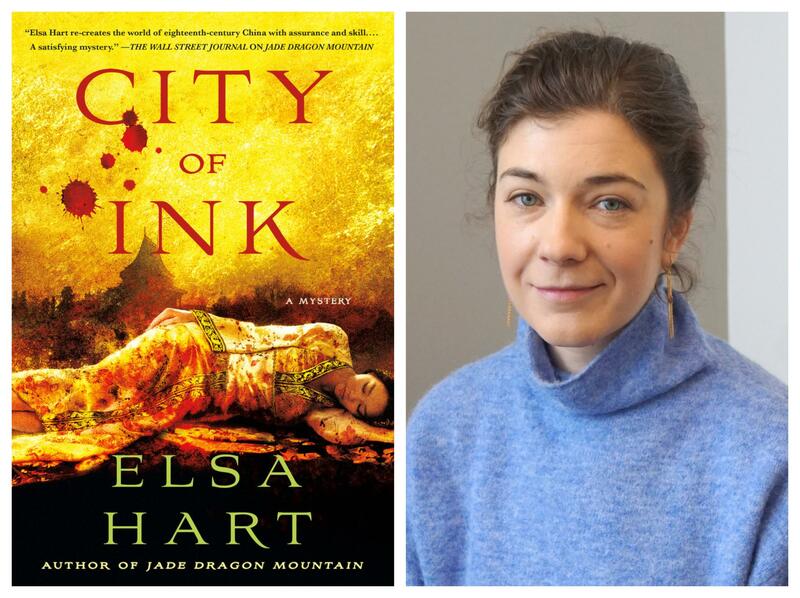 "City of Ink," set in early 18th-century Beijing, is Elsa Hart's third novel. She's currently at work on her fourth. She’s doing a lot of that with her own characters these days – particularly when it comes to Li Du, the exiled-librarian-turned-detective at the center of her first three novels: “Jade Dragon Mountain,” “The White Mirror” and “City of Ink,” which was released in August 2018. Without giving too much away for would-be readers, Hart offered a brief overview of the trilogy and where things stand for this early 18th-century character who has become quite the fictional companion. “By the end of ‘Jade Dragon Mountain’ he’s no longer in exile, but for reasons of his own he’s not yet ready to go home,” Hart said of Li Du. “But by the end of ‘The White Mirror’ the situation has changed, and he has in his mind no choice but to return to Beijing … his home that he’s avoided for many years at this point. The St. Louis Post-Dispatch deemed “City of Ink” Hart’s best novel yet, and the editors of Publishers Weekly selected it as one of their “Best Books” of 2018. While modern-day St. Louis is far removed from the settings of Hart’s novels so far, she’s found excellent resources at the St. Louis Public Library as well as libraries at the Missouri Botanical Garden and the St. Louis Art Museum. A large architecturally focused volume at the art museum, titled “Peking: Temples and City Life, 1400-1900,” proved particularly worthwhile to pore over as “City of Ink” came to fruition, she said. Now at work on her fourth mystery – which she noted will move away from Li Du as the protagonist, despite her fondness for him – Hart called herself a “very strict outliner” when it comes to her writing process. “I need to have the skeleton of the story down before I make any attempt at writing a beautiful sentence,” she said. “And I sort of assumed that was the case for all writers of mysteries. But I’ve since spoken to many, including Donna Leon, who writes the inspector Brunetti mysteries set in Venice, and she can start a mystery not even quite knowing whodunit, and figure it out as she goes. When Elsa Hart moved to St. Louis and set out to earn a law degree from Washington University, becoming a novelist wasn’t at the top of her agenda. But then neither did Li Du, the protagonist of her since-published historical mysteries, expect to morph into a detective. Trained as an imperial librarian in early 18th-century China, the fictional character winds up solving crimes in the midst of an ancient eclipse of the sun and other unexpectedly fraught adventures. Li Du is the central character in both Hart’s debut, “Jade Dragon Mountain” (2015), and its sequel, “The White Mirror” (2016), and still more surprises await him and his associates.